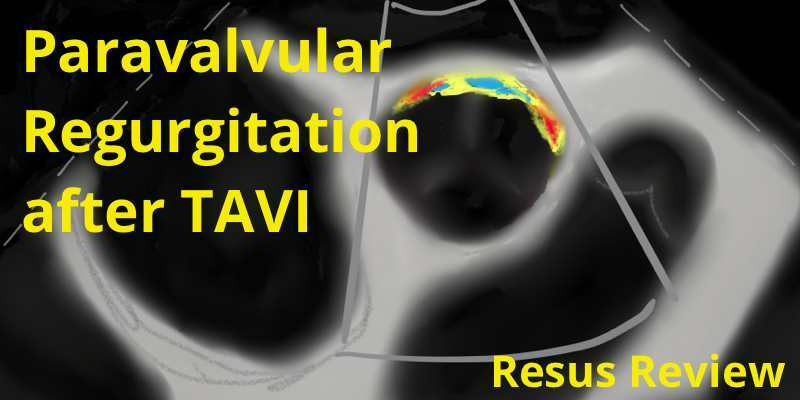 Paravalvular regurgitation after transcatheter aortic valve implantation occurs in in over 50% of patients, and correlates with 1-year mortality. The regurgitant jets are best characterized with transesophageal echocardiography to define the circumferential extent and cross-sectional area. Overtime, most the regurgitation decreases, and occasionally disappears completely. Transcatheter cardiac interventions are a fast evolving field. 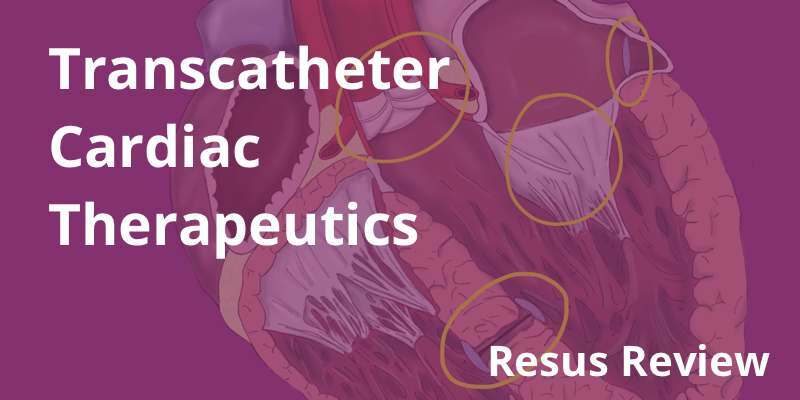 The past decade has seen the development of transcatheter aortic valve replacement, transcatheter mitral valve repair and replacement, septal defect closure devices and left atrial appendage closure devices for thromboprophylaxis. Left main stem disease is associated with significant morbidity and mortality. Coronary artery bypass surgery has been the definitive treatment choice. However, advancements in percutaneous coronary intervention (such as drug-eluting stents and techniques, risk stratification, and intravascular ultrasound) have increased the viability of this treatment option. Coronary arteries can be difficult to visualize, especially when there are multiple lesions, interventions, and grafting. Diagramming the anatomy allows you to track lesions, stenting, grafts, size size/variation of native arteries. It is a useful technique for your own understanding and facilitating communication. Pertrach Emergency Cricothyrotomy Kit uses an innovative finding splitting needle to enter the cricothyroid membrane, and allows the dilator to be inserted without requiring a Seldinger wire. The Control-Cric System has been developed by Dr Richard Levitan to allow for increased success and speed of performing an emergent cricothyrotomy. It includes a specially designed scalpel (Control-Knife) and custom tracheostomy tube (Control-Key). Spontaneous coronary artery dissection (SCAD) is a non-traumatic and non-iatrogenic separation of the coronary artery wall that is now recognised as an important cause of myocardial infarction, especially in younger women or those without traditional cardiovascular risk factors. Nasotracheal intubations are useful technique in a number of situations including distorted airway anatomy and awake intubations. Patient preparation and anesthesia are key. Understand how to use the endoscopes and the procedural steps for a successful and safe nasotracheal intubation. Critical care, master level ECG interpretation, ECMO, airway management, and the latest research. We value your privacy. Your email will never be spammed. Copyright 2014 Charles Bruen | All Rights Reserved.